Here’s the quote again: “The launch lineup for PlayStation 4–though I unfortunately can’t give the title count–is going to be stronger than any prior PlayStation hardware.” The two words that caught my eye are “title count”; while the overall statement taken together is fairly vague, and really nothing new from a developer prior to the official hardware launch, the phrase “title count” implies, at least to me, that he is simply saying, “gamers are going to have the biggest number of launch titles to choose from with the PS4 launch”. At first glance I think the word “stronger” is the confusing part of his quote, as I think most gamers relate that, maybe out of hope, to mean AAA games, and not just sheer quantities. You’re depressed now after reading our take, aren’t you? Welcome to the club. Who Remembers the PlayStation 3 Launch Library? 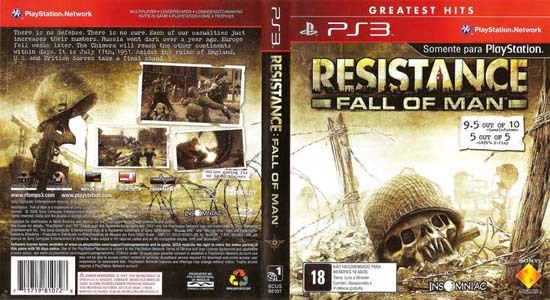 I remember one game from the PS3 launch days back in November 2006, and that was “Resistance: Fall of Man”, which turned out to be a really solid FPS series. Why do I remember only that game? Because it was the only one worth a damn out of the entire launch; now that I think about it, Elder Scrolls: Oblivion was also part of the PS3’s launch, but I had already played that game months earlier on my Xbox 360. So with the PS3 launch library fresh and depressing in your mind, Sony really doesn’t have to do much to outdo their last launch, do they? No, they don’t. For the full interview, head on over to GamaSutra for all the superlatives. Previous PostPrevious Want a One-Way Ticket to Mars? I read this article on SQ and found it very interesting, thought it might be something for you. The article is called PS4 Launch Lineup Will Trump Previous PlayStation Launchesand is located athttps://www.slightlyqualified.com/ps4-launch-lineup-will-trump-previous-playstation-launches.